Anytime you win on the PGA Tour it is impressive, but since the start of the 2016-2017 season the winners have not gotten my attention. The way Jordan Spieth controlled and dominated the AT&T Pebble Beach Pro-Am was, in my opinion, the most convincing win of the season. With a Friday 65 at Spyglass and another 65 at Pebble on Saturday, the tournament was over. But it was the manner in which he accomplished his mission. His swing was the best that I have witnessed. It was consistently in the right position and on plane in the backswing. His tempo was smooth and constant, and his balance spot on. He had control of every facet of his game. His victory margin was four strokes, but his dominance was like Tiger Woods in his prime. You never felt he could be challenged. You felt there were two playing fields and no one was good enough to play on the level that Tiger was playing or what Jordan played on during the AT&T. Justin Thomas is a three time winner this year on the PGA Tour and I should be more impressed, but I want more consistency for a longer period of time. The win in Kuala Lumpur was against a mediocre field and away from the US spotlight. His win at the Tournament of Champions had lapses that felt like if Hideki Matsuyama could have pressured him more that he would fold. However, the second best impressive win of the season was by Justin in the Sony Open. His seven shot victory was strong. In this win, he didn't let up and showed his superiority. For the past two years I have predicted great things from Justin Thomas. He was equally as good as Jordan Spieth in junior golf and college golf. Jordan has jumped ahead in the early stages of their professional careers, but now Justin needs to continue his fine play and win and have strong finishes in major events to keep pace. Hideki Matsuyama has the most consistent record for this season. He has two wins and two seconds and seems to be in the mix each week. That is the sign of a great player. What he has shown leads me to believe he can win a major title this year. What has held him back the past three years has been below average putting. This year he looks like a different putter. I don't think it is a passing phase or a hot streak. I think he has figured out what it takes to be a good putter. He looks like a different player and when you have confidence in your putting it takes pressure off the other parts of your game and they get better. 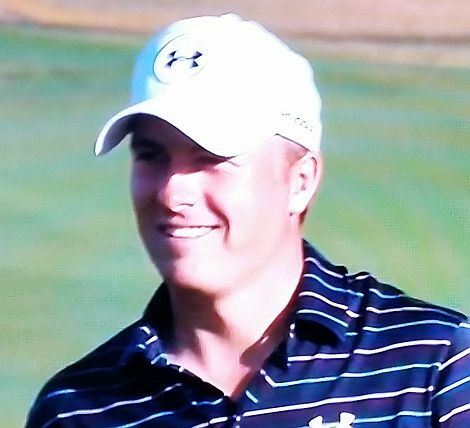 Jordan Spieth has been the top ranked player in the world. He slipped last year and is presently ranked 6th. Jordan has the Tiger desire and dedication. His swing consistency and ball striking has held him back to achieve higher goals. What I saw at Pebble was the swing and ball striking that could launch him back to the top. Last year he was tentative and thinking too much about what he was doing on the golf course. This year, and especially at Pebble, he looked like a different person, one that was even better than the 2015 best player in the world version. He is my early pick to win the Masters. This season's most anticipated event was the return of Tiger Woods to competitive golf. He was to play in four tournaments in a five week stretch. His first venture was the Farmers Insurance event at Torrey Pines. His 76 and 72 missed the cut by four. I watched most of the second round in person and thought his swing was much improved and his ball striking was solid but rusty. He played with the number one and three ranked players in the world and they also shot similar scores and missed the cut. So I didn't put too much stock into his missing the cut in his first PGA event in 16 months. However, it doesn't bode well to see a totally different Tiger the next week in Dubai. He looked fragile during he's opening 77 and then experienced back spasms that night and had to withdraw. The back has continued to act up and forced the withdrawal for his next two events. He has been following doctors' orders and hasn't pushed his return until he and they felt he was ready. But if your back can't withstand one tournament, then a long plane ride, and recurring back spasms to the point you have to withdraw tournaments three weeks away, then it's time to seriously consider that his health is much more serious then we realize. He is viewed as a "superman" and invincible, but maybe it is time we have to admit that his body won't let him be that superstar player again. I hope not, but facts and results are telling us the reality.